On Tuesday, October 16, Oxfam is hosting World Food Day, an occasion to raise awareness about the sources and solutions of global hunger. The premise is simple and highly portable: groups of all sizes are encouraged to sit for a meal that day and discuss where our food comes from, how it comes to us, and how the system can become more just and sustainable. For students who believe pizza grows in the back of the school lunchroom and don’t consider that forty percent of the world’s population lives hungrily on less than $2 a day, such an event can be enlightening. For those who quietly lament all the uneaten food that piles into the cafeteria dishroom and choose research projects on malnutrition, the day offers a platform. For the 99 percent of Americans who are not involved with agriculture, the day offers an important reflection. For the humane educator, it is a flood of topics awaiting release. On the national level, these could include food miles, resource-intensive foods, moving toward sustainable diets, food waste, composting programs, nutritional values, and migrant labor, to name a few. On the global level, students might question how there is enough food to feed the world, but why it does not get to everyone. This may get them thinking about irrigation, roads, bank micro-loans, education, and technology. They might question the effectiveness of overseas food aid programs and the success of the UN’s millennial goals for nutrition. If nothing else, the occasion will have students thinking about something important. 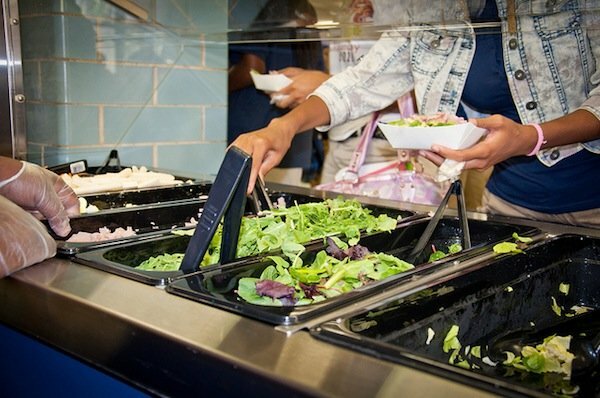 But if the rumblings of response are active, students might hold a fundraiser for Oxfam’s World Food Day fund, or they might work toward composting food scraps from the cafeteria, or devising a more sustainable menu. For relatively little planning, the results could be big. For Oxfam’s materials – placemats, recipe cards, stickers, facts sheets, film clips – visit their website.